The Internet of Things (IoT) gives us solutions made of a mix of expertises such as High Tech “Things”, mobile solutions and business intelligence. We couple “Things” together to mash-up a mountain of technological communication, build new interfaces for existing products and bring forth a huge cloud of data that can be mined. Without Things we wouldn’t have other Things. Great stuff these innovations and explosion of Things (up to 100 Billion connected devices in 2020 according to Gartner and Forbes) but how to keep up with testing these newly invented solutions? Not only do we need a wide range of test expertise for IoT testing but with “Things” we introduce sensors, actors, electronics and other hardware to the test scope. “IoT-fication” of products leads to all kinds of new test challenges. The amount of possibilities to test explodes. A clear view on how IoT testing is different then what we know on testing today is needed. This speech gives pointers to how to tackle the IoT testing question. With three examples I illustrate three main messages for testing IoT solutions. 1. How does crowd testing work within the context of IoT? 2. What can we do with Storytelling? All of this to show: how to IoT-fy your test strategy? With “IoTest” a new testing environment takes shape. The final conclusion a crisp five step approach for IoT testing. The story gives a view on what test engineers will encounter in the IoT world and how IoT testing is different then what we do today. Tom van de Ven is 13 years active in the field of High Tech testing. As a High Tech test expert he is a frequently asked sparring partner for Sogeti High Tech customers with regard to test projects. He is author of the book IoTMap that expands TMap into the world of Internet of Things. Being a member of SogetiLabs and an ambassador for the SPIRIT within the Cap Gemini group, he is a recognised international authority on IoT and High Tech testing. Besides a multitude of test assignments (i.e. in the field of healthcare, semiconductors, agriculture, automotive) he is the leader of the Sogeti High Tech Test Competence Centre and a regular speaker on international seminars. You can find regular publications and blogs on the SogetiLabs platform. 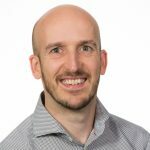 Tom uses his experience in a role as a coach for (starting) High Tech test engineers and is constantly looking for improvements in High Tech test methodologies. He also teaches and develops a wide variety of testing courses in the embedded and high tech domain.